Download your new fitness companion app now. Keep fit anytime, anywhere with the KFit apps for iOS and Android. 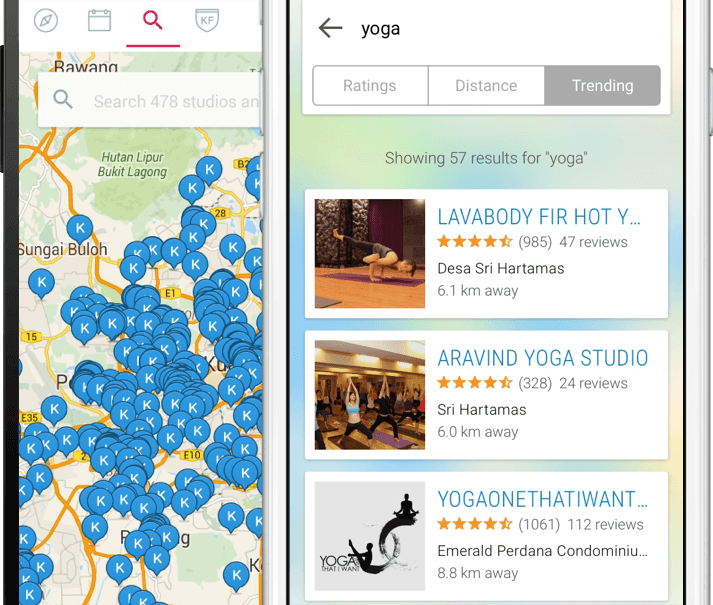 Search 1000s of activities, book classes and track your reservations on the go. Search for a particular activity, or check out the premium partners available in your city with our interactive map. Browse our yoga, Zumba, Muay Thai, boot camp partners and many more. Reserve your activity with the touch of a button. 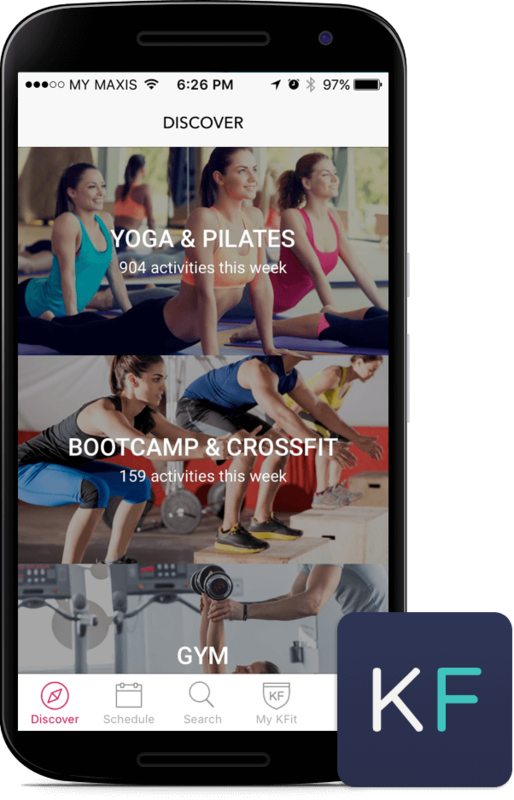 Once your friends download the app, it's easier than ever to book activities and workout together.